Over the weekend leading up to July 4th, we’ll be exploring two discourses: the Sallekha Sutta (MN 8), a wide-ranging discourse on humility; and the Dhātuvibhaṅga Sutta (MN 140), a profound explanation of elements-meditation as a path to enlightenment. 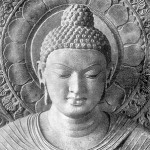 This entry was posted in Home and tagged BUDDHISM, meditation, meditation retreats, practice. Bookmark the permalink.